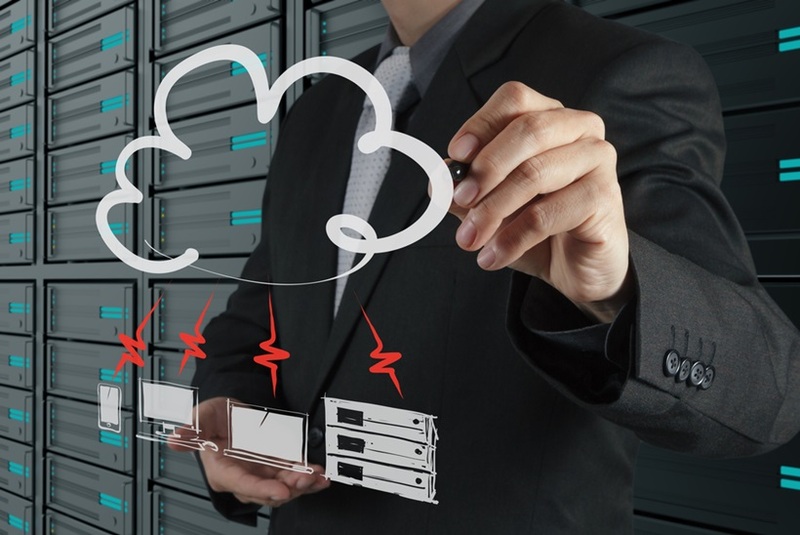 What's the difference between VPS hosting and Cloud Server hosting? VPS stands for virtual private server. It's very similar to a VM (virtual machine) but generally associated with server operating systems (OS) whereas VMs are more commonly referenced when running a desktop OS. In a standard VPS hosting situation there is a physical server that is running special software called a hypervisor. This hypervisor creates "virtual" machines within the single main server that are each isolated and have their own specific resources - RAM, CPU, Disk, etc. Popular hypervisors include VMware ESX, Microsoft Hyper-V, and both Xen and KVM running on Linux. VPS hosting is great because for the most part it looks just like a physical server to both the administrator and the end-users. The fact that the hardware is actually shared (aka multi-tenant) though gives the added benefit of cost savings since the instance effectively costs only a fraction of the physical server. Standard VPS hosting is not without a couple of challenges though. One challenge is that the VPS runs on the single physical server and if there is an issue with that server, every server instance running on the server goes offline. Another challenge is that the combined resources of all of the virtual private servers combined cannot exceed the total resources of the single physical server. If the resources on the server reach a certain maximum threshold, the VPS instances running there can no longer scale up – until the server is taken offline and more physical resources are added. Additionally, because of this single resource pool situation, if one or more VPS instances on the single server increase substantially in resource load, it can impact every other VPS running on that server. What a cloud VPS server solution adds are direct solutions to those three concerns. By definition – if the host is being open and honest – a “cloud” solution should not run on a single server. Instead there should be a pool of redundant physical resources that operate both independent of each other but also together as a single entity. So there might be 10 servers in the cloud and any VPS servers running on that cloud would get to leverage the processor, memory, and storage facilities of those servers. If a physical device in a cloud environment fails, it should have minimal or no impact to anything running on the cloud. If there is any impact, it should literally be measured in seconds – like the time it takes a VPS to reboot. Additionally, a properly configured cloud environment will allow the VPS servers to move – in real-time and live without impacting operation – between the different physical resources. This fact addresses both of the last two VPS concerns. Scaling out is no longer limited to one server, but can be done across an entire cluster of servers. And if the cluster runs low on resources, more can be added live without impact to running operations. Plus, this fact of running on a cloud of resources means that the hypervisor can be used to balance out the resources across the nodes and optimize performance. If one VPS is running excessively hard and starts to impact other customers, it can be migrated (again, live, without any user impact) to a different node that has more idle capacity. This is really the tip of the iceberg. Cloud VPS server hosting has so many benefits over standard legacy VPS hosting that I expect everyone will be running on a cloud server in the near future. There is really no good reason not to, but there are plenty of reasons to do so.